I will cover you all day long as you rest between My shoulders. Of Benjamin he said, “The beloved of Yahweh shall dwell in safety by him. What an amazing picture of intimacy is painted between God and Benjamin. Moses calls Benjamin the beloved of the LORD who will enjoy the Lord's covering all day long as he rests between God's shoulders. I believe that every promise that God has made to the beloved of the LORD is a promise that we too can claim as our own because we too are God's loved ones. Our God and Father invites us to rest between His shoulders today and live in a place of complete safety in Him. He is our covering and truly a place where we can 'let down our hair' and relax. 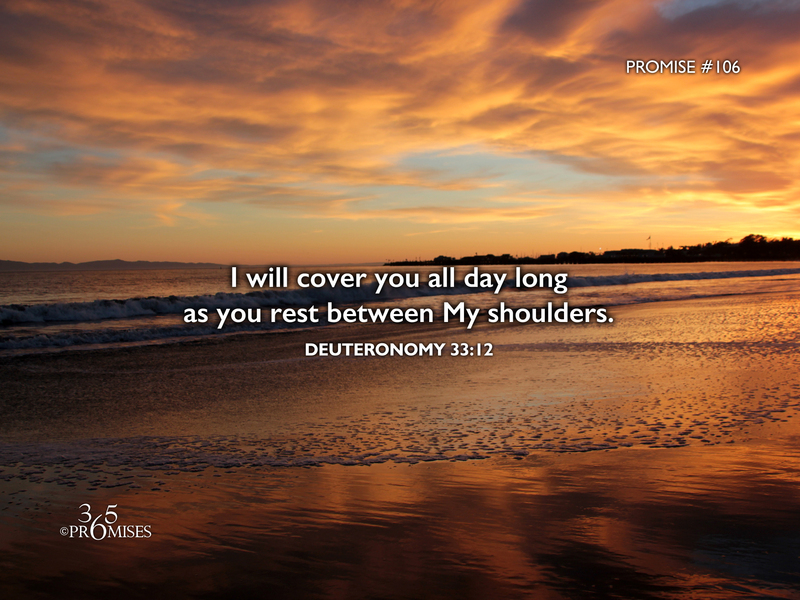 My prayer today is that this promise would become real to each one of us so that we might truly be able to rest in the arms of our Heavenly Father.